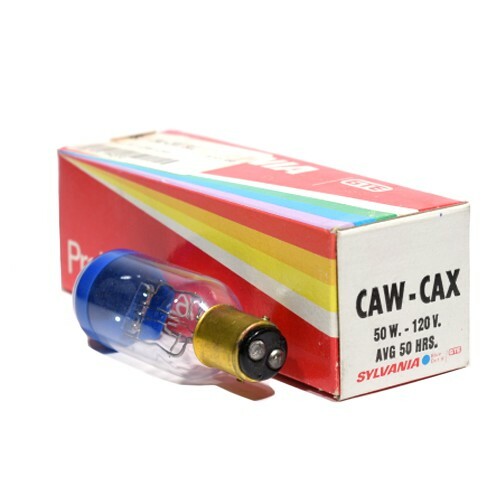 The CAW/CAX Sylvania 77134 is an Incandescent T8 120V 50W Clear Lamp with a BA15d base. DANGER! 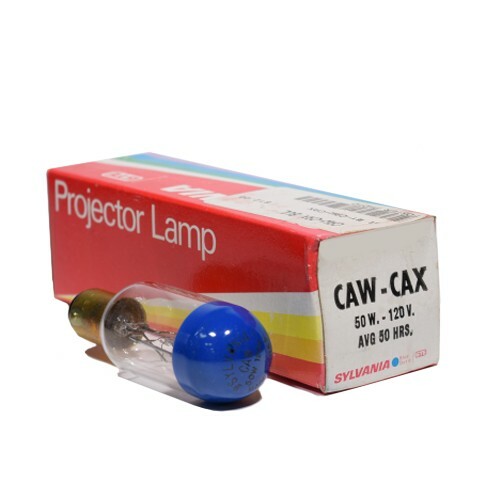 The CAW/CAX - Sylvania Sylvania replacement lamp operates at extremely high temperatures that can cause serious physical injuries and property damage. Do not use the CAW/CAX - Sylvania Sylvania replacement lamp in close proximity of paper, cloth or other combustible materials that can cause a fire hazard. Lamps are very fragile. Do not drop, crush, bend or shake them. Vibration or impact will cause filament breakage and short lamp life. Do not touch the Sylvania CAW/CAX - Sylvania bulb surface or inside reflectors with your bare hands. Oils from skin can lead to breakage or shorten the life of the lamp. Use clean gloves or lint-free cloth for installation and removal. Never touch the CAW/CAX - Sylvania Sylvania lamp when it is on, or soon after it has been turned off, as it is hot and may cause serious burns. Do not look directly at the operating bulb for any period of time; this may cause serious eye injury. Always turn off the electrical power before inserting, removing, or cleaning the replacement Sylvania CAW/CAX - Sylvania lamp. Affix the CAW/CAX - Sylvania Sylvania replacement lamp securely in the socket. Improper installation of the Sylvania CAW/CAX - Sylvania replacement lamp will cause electrical arcing, overheating and short life to lamp and socket. Replace lamp holders and sockets when necessary. Make sure lamps of specified wattage and voltage are only used in appropriately rated fixtures. Unspecified use will lead to short lamp life, breakage and overheating of fixture. Sylvania CAW/CAX - Sylvania replacement lamps should not be operated beyond the total rated voltage. Avoid the use of dimmers that may drive your lamp over its rated voltage. Operate the Sylvania CAW/CAX - Sylvania replacement lamp only in the indicated burn position. Failure to do so will lead to overheating and shortened lamp life. Use an external fuse when required. Do not allow one lamp to directly expose another. This may lead to overheating and shortened lamp life. © 1999 - 2019 Lampline Lighting, Inc. All rights reserved.